A group that organises vintage fighter plane rides for veterans says a passenger who was killed when a World War II-era aircraft crashed in South Texas had been a WWII pilot. 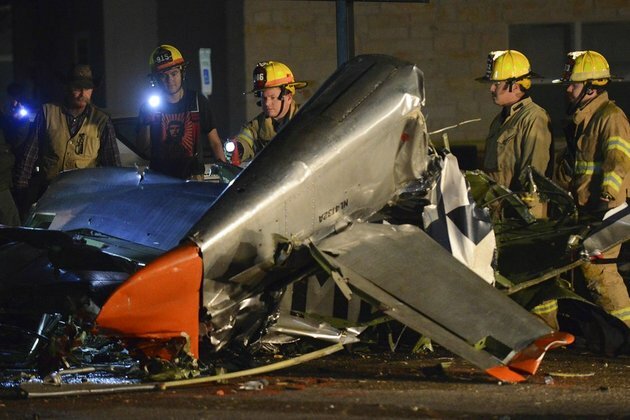 The P-51D Mustang was participating in a flyover on Saturday when it crashed in Fredericksburg, about 110km north of San Antonio. The pilot was also killed. Texas Department of Public Safety Sgt. Orlando Moreno on Monday identified the pilot as 73-year-old Cowden Ward Jr. of Burnet and his passenger as 93-year-old Vincent Losada of San Antonio. Freedom Flyers posted on Facebook that Ward was flying an "honoured passenger, a WWII B17 pilot" when he crashed. The group says Ward often flew veterans in his plane, which was deployed in World War II and Korea.